DDC Laboratories India is one of the top most DNA testing centers in the world and has opened up sample collection centers in all the major cities of India. Our testing laboratory is known for providing 100% accuracy, timely results at reasonable prices. DNA Test in Gandhinagar Gujarat will now be easy and affordable. We undertake all types of DNA tests here including Peace of mind, Paternity DNA testing, Maternity DNA testing, Grand-parentage DNA testing, DNA Test for immigration, DNA test for drug use, DNA test for infidelity, prenatal DNA testing and all other DNA tests. DNA test also helps in identifying dead bodies that are spoilt beyond recognition. To us, customers can provide DNA samples with belief and confidence on us expecting accuracy, efficiency in results. We also help our customer by providing the facility for collecting DNA samples from their doorsteps. We realize the importance of DNA tests in one’s life and follow in-depth procedures for DNA testing to maintain high quality standards. We assure effective and careful handling of DNA samples and deliver the most accurate test results. 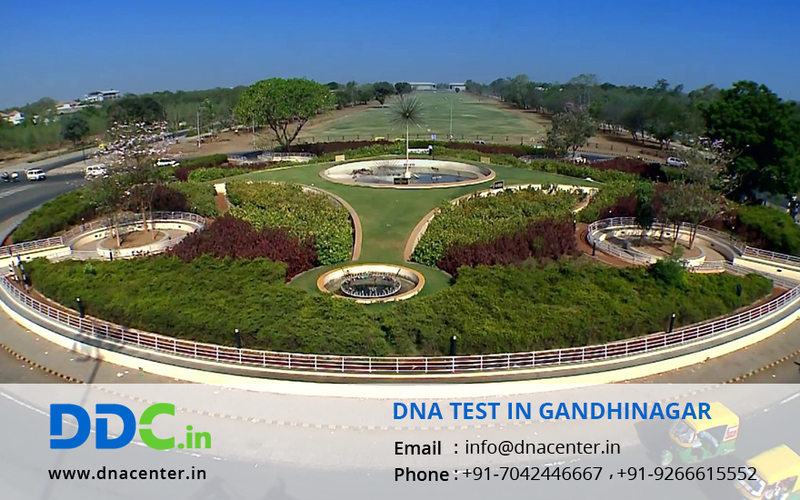 For any type of DNA test in Gandhinagar, Gujarat, please fill the form and our executive will get in touch with you or give us a call at +91 7533008488.